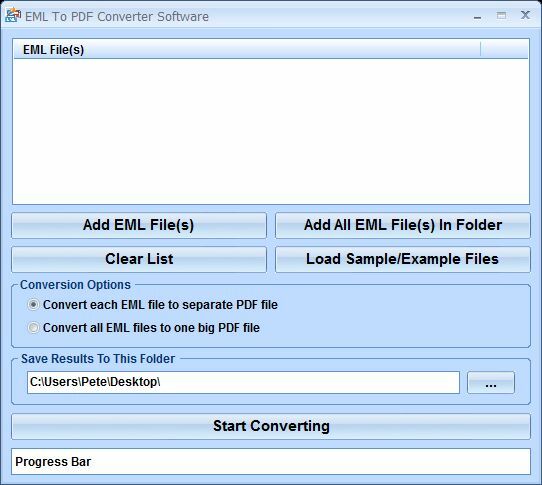 EML To PDF Converter Software can convert EML email files to PDFs. The user can choose an e-mail, list of files or an entire folder for processing. It takes just one click to convert them to PDF format. This software makes it easy and fast to convert e-mails into documents that are acceptable for many official purposes.